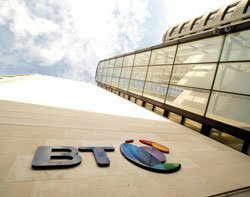 Telecoms regulator Ofcom has told the Competition and Markets Authority (CMA) that it has no major objections to BT’s proposed takeover of EE. Rival communications providers such as Sky, TalkTalk and Vodafone have all been appealing to Ofcom to rule against the takeover, claiming that it could have a negative impact on both competition and fair access to mobile backhaul. However, in a 69-page submission to the CMA, Ofcom said that while it was sympathetic to many of the concerns, it ultimately felt that the existing regulations would be sufficient to keep the new mega-provider in check. One of the key arguments from competitors is that because Openreach provides backhaul services to all four major operators, a merger could allow BT to prioritise EE’s core network. However, Ofcom has already proposed a change in regulation, which will compel BT to give competitors physical access to its nationwide network of dark fibre. “While we believe that the requirement to provide access to dark fibre could limit any potential attempts to discriminate over product innovation, this will only be the case if all MNOs have opportunities to take up dark fibre,” Ofcom wrote. BT was surprisingly aggressive during the 4G auctions, paying £186m for three blocks in the 2.6GHz band. This lead to speculation at the time that the provider was planning to re-enter the mobile market. Meanwhile EE secured blocks in both the 800MHz and 2.6GHz bands for £588m. In 2012, the provider was given the go-ahead to repurpose its surplus capacity to use for 4G services. This gave the carrier a significant head start in the 4G race and it still outpaces competition in terms of coverage and speed. Combined, the two companies will have a major advantage in the LTE space. The watchdog brushed aside concerns. "In relation to the higher peak speeds that BT/EE will be able to provide, we note that even though the addition of BT’s spectrum may increase the peak speeds BT/EE could offer, on its own EE is already able to provide higher peak speeds than other MNOs. We also note that it is unclear how much peak speeds matter to consumers (as those peak speeds are not often experienced in practice)." Another concern that has been raised is that a deal may reduce BT’s incentive to supply wholesale services to mobile virtual network operators (MVNOs). 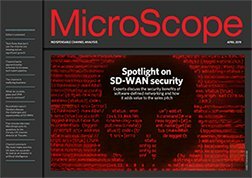 The watchdog said that virtual networks were not currently subject to regulation, but added: “[We would] revisit the decision not to regulate third party access by MVNOs if, for example, we saw evidence of anti-competitive behaviour, including limitations in the supply of wholesale services to access seekers, that could not adequately be addressed using ex-post intervention. While the CMA will have the final say on the takeover, Ofcom’s report will be a major victory for Team BTEE and a significant blow for pretty much every other provider. If this were the only deal on the table, Ofcom’s report might be enough to sway the CMA; however with a Three-O2 merger also in play, the competition regulator may be forced to take a tougher stance due to the rapidly consolidating market. The CMA is expected to deliver its verdict by November 2015.